Check out our review of IK Multimedia’s newest guitar-to-iOS interface adapter. Tuning an instrument has never looked so good. Take your iPad to the next level, musically, with this synthesizer app. Learn guitar, one day at a time, with this video-based music lesson app. Blue Microphones recently launched Nessie and we got a chance to check it out. Sometimes, you just need a quick and easy way to get your song ideas recorded. This week, Apple gave a music app the Editor’s Choice award and we have something to say about that. We got our hands on Logitech’s newest iPad case and we’ve got an in-depth review for you. Check out the newest products that are ready to ship from IK Multimedia. Hone your pitch recognition skills with this fun music education app. See why Apple chose to spotlight this music theory and scale practicing app this week. Keep your musician’s “cred” with you at all times with this mobile membership app. Practice your paradiddles with this drum sample app. Sample your cat’s meow and turn it into an electronic song with this music app. Motörhead has their own brand of headphones and we have a review of the top of the line. Find out what is going on with your local music scene with these location-based apps. If you’ve always wanted your bass guitar to sound like it belongs in Megadeth, there’s an app for that. Play along with your favorite pop songs with this innovative sheet music app from Yamaha. We have an in-depth review of IK Multimedia’s newest app, plus two copies to give away. Dig through thousands of remixes to find new versions of old favorites with this music discovery app. For this episode of Musician’s Corner, we show you how to relax and make music at the same time. For this episode of Musician’s Corner we visit Eventide’s booth at Macworld/iWorld to find out more about the H9 Harmonizer. For this episode of Musician’s Corner we work on finger placement for chords. 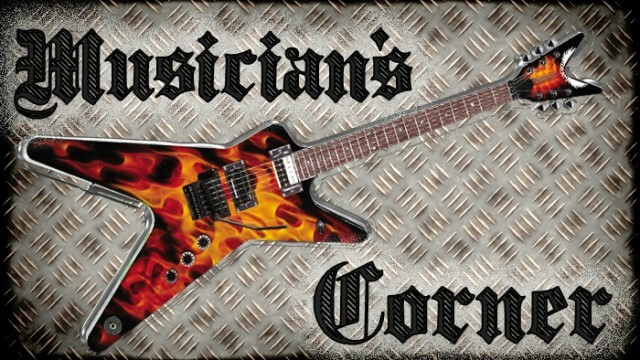 For this episode of Musician’s Corner, refresh your memory with this guitar game.